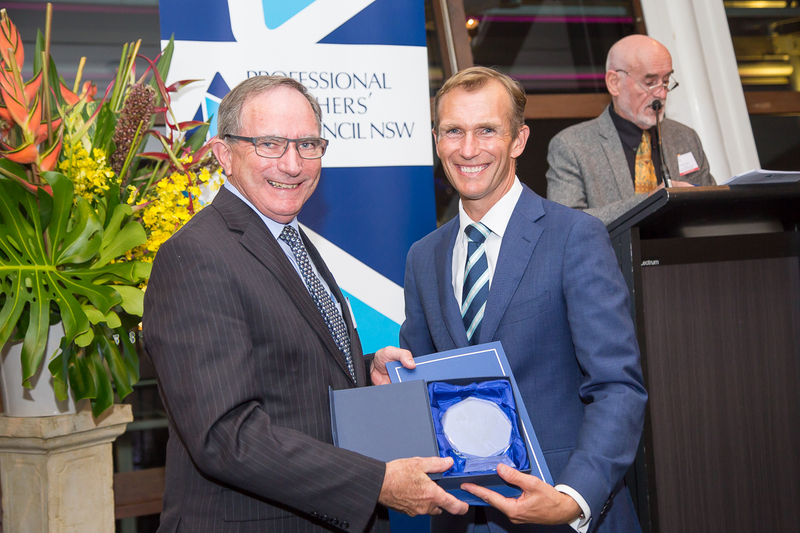 Brian Elliott serves as a director of the Professional Teachers’ Council NSW Board. He is a member of the executive, serving as Treasurer. Brian is an outstanding educator and has had a long and distinguished career in education in NSW. His contributions include Social Sciences teaching experience in secondary schools, leading a Social Sciences Department in a secondary school, leadership roles at the NSW Department of Education, project management work at the NSW Education Standards Authority (NESA) and mentoring student teachers during their school placements. Brian has worked passionately to highlight the role and importance of professional teacher associations throughout his career. Brian is a past president of Legal Studies Association of NSW. In this role he worked to build teacher capacity and ensure quality teaching and learning in relation to the Legal Studies course. Brian’s leadership of this association was instrumental in ensuring the goals of professional growth, networking and advocacy were achieved for members. 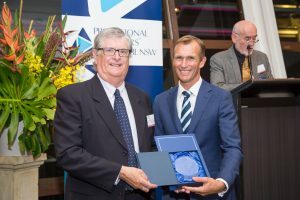 Life membership of Legal Studies Association of NSW has been bestowed on Brian in recognition of long and valued service and outstanding contributions to the association. 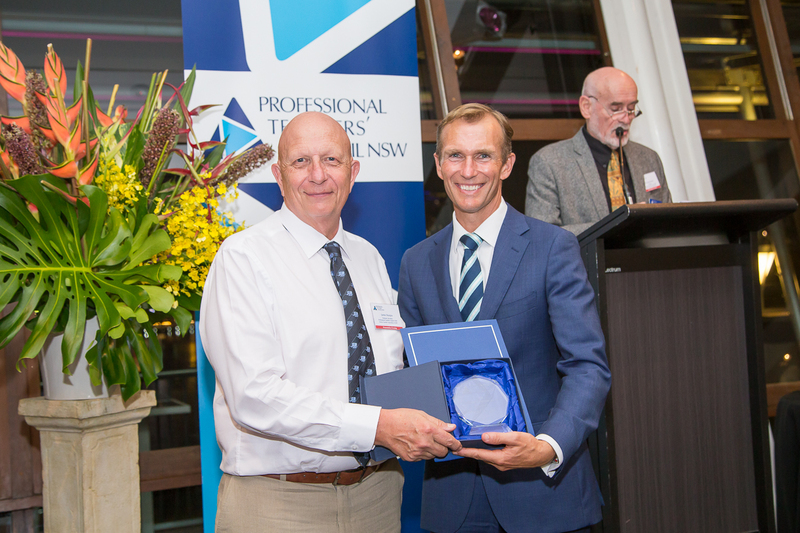 As a Director on the Board of the Professional Teachers’ Council of NSW, Brian has worked passionately for all professional teacher associations and ensured they are valued and supported. Brian is a dedicated educator with a strong passion for teacher professional associations and the significant impact they can have with regards to increasing student learning outcomes. Brian is a worthy recipient of the 2018 PTC NSW Exceptional Service Award. co-authored with Geoff Munns, Bronwyn Cole and the UWS Fair Go team for Routledge – is entitled Exemplary teachers of students in poverty and highlights the work of a number of teachers in NSW who are highly successful in engaging students from low SES communities with their education. Wayne has been an active member and past president of ETA NSW where he has inspired English teachers in NSW and beyond. He was awarded life membership in recognition of his outstanding contribution to professional development through presentations, publication, research and policy development. Wayne has been a member of ETANSW since 1978; an ETA NSW State councillor from 1990–91 and from 1998–2001. From 1999 to 2001, he was the NSW delegate to Australian Association for the Teaching of English (AATE), from 2002–2004, editor of “English in Australia” and in 2002–2004 an executive member of the AATE Council. He has presented for PTCNSW and provided insightful advice. Wayne is a recipient of the Professional Teachers’ Council NSW Outstanding Professional Service Award, the NSW Institute of Educational Research Award for Outstanding Educational Research, the NSW Minister for Education and Training Award and the Australian College of Education Quality Teaching Award for university teaching. Wayne is a gentleman and a scholar who is respected nationally and internationally. He is a very worthy recipient of the Outstanding Service award. James joined the Board of the Professional Teachers’ Council NSW (PTCNSW) in 2013 as a representative of the Science Teachers Association of NSW (STANSW). James supported science teachers and science education in NSW through STANSW as a committee member 2009–2015, Secretary 2012–2014, and as Treasurer in 2015. Further, he has freely given his time as a conference convenor and workshop presenter for STANSW sharing his expertise in the areas of literacy, assessment and ICT for science teachers across NSW. Keen to reach out to science teachers in non-metropolitan regions he pioneered online on-demand delivery of BOSTES (now NESA) accredited courses. As a Director on the PTCNSW Board James immediately demonstrated that he has a deep and broader skill set. It was immediately apparent that James has had broad experience in areas such as assessment, online learning and accreditation. He has generously shared his knowledge with PTCNSW member associations through workshops and on-line demonstrations. James is a passionate educator who sees the on-line platform as an exciting platform for our member associations to utilise. His generous offer of time and expertise to assist associations is greatly appreciated. He has expertly chaired PTCNSW’s Professional Learning Accreditation Committee that deals with the myriad of course proposals that PTCNSW receives from member associations as provider of the largest number of accredited PL courses in NSW. James brings his expertise and knowledge of course development to this role, providing sound contributions and feedback aided by a supportive committee. More recently James took on the responsibility of Secretary of PTCNSW. James’ range and depth of experience and his willingness to share his expertise with member associations makes him an integral element in PTCNSW’s re-invention and plans to provide 21st century opportunities for the member associations. Margaret has served as a director of the Professional Teachers’ Council NSW Board since August 2015. She became a member of the executive, assuming the role of Treasurer during 2016 – 2017. Margaret has been a member of Science Teachers Association NSW since 1995. During this time she has held a number of significant roles including Vice-President (2010–2011), Secretary (2002–2003 & 2006–2009), Treasurer (2015–2016) and President (2017– current). Margaret has also been a representative for STANSW on various panels including the National Consistency in Curriculum Outcomes NSW Consultation committee in 2005, the ESSA (Essential Secondary Science Assessment) reporting consultation committee 2006), a number of BOSTES (now NESA) & ACARA consultation panels . Margaret has contributed to a large number of STANSW conferences as both a workshop convenor, well-respected presenter and as a worker assisting organising committees. She has assisted in the development and on-going presentation of STANSW Professional Learning events for science teachers across NSW as well convening several Country Connections events involving both regional teachers and students of science. As a science writer for STANSW, Margaret has also provided some excellent articles on classroom activities that were published in Science Matters, the newsletter of STANSW as well as in SEN, the official journal of STANSW. She has also undertaken many editorial roles for both STANSW and the Australian Science Teachers Association. Throughout her teaching career, Margaret has mentored many teachers and encouraged her colleagues to nominate for STANSW Council. Ann Thomas has been a Director of PTC NSW for four years. During that time she has served as a member of PTC NSW Finance Committee and in early 2015, at a time of significant crisis for PTC NSW, Ann volunteered to become the Treasurer of PTC NSW and to head the Finance Committee. In the next two years Ann was called upon to make some difficult decisions that guided PTC NSW through a very challenging period. Under Ann’s leadership the Finance Committee has established practices and procedures for future sustainability which will ensure the longevity of PTC NSW in many years to come. Ann has made many contributions to Education in NSW during her career in many capacities. Her career has seen her in positions including Principal, Inspector of Schools, Curriculum Team Leader and Curriculum Consultant. Her passion for education and commitment to the teaching profession makes Ann a very worth recipient of the PTC NSW Exceptional Service Award. Dr Anne Forbes has an educational background in the sciences [BSc (Hons) in Biological Sciences from Birmingham University, UK; MScAgr in Plant Pathology from the University of Sydney, a BEd in Primary Education from UTS, Sydney and a PhD in primary science education from Southern Cross University, and also taught in primary schools in the United States and Australia for 15 years. Prior to her appointment in 2006 to the Australian Catholic University as a primary science and technology lecturer, Anne was a specialist Science and Technology teacher at Epping North Public School (Sydney) from 2000–2006. Anne is passionate about the work of teaching associations and their role in building capacity to support teacher quality. She has been involved with the Science Teachers’ Association of NSW (STANSW) from 1999 –2009 as a Councillor and Primary Network Co-ordinator. Since 2010 Anne has been involved with the NSW Institute for Educational Research, the Primary Teachers’ Network (PTN) as President, and with the Professional Teachers’ Council NSW as a Board member and Vice President Her commitment to STANSW over many years and as a founding member of the Primary Teachers’ Network (PTN), are testament to her commitment to the work of teaching associations. In her role as president of PTN she has been a strong advocate for the provision of professional development and high quality resources for primary teachers that transcend subject boundaries. Anne has been the recipient of numerous awards acknowledging her outstanding commitment to science education. These include: in 2000 the NSW Outstanding Streamwatch Educator award for K–12 teaching, in 2003 the National BHP Billiton Award for Primary Science Teaching, and in 2006 a Professional Teachers’ Council NSW Award for Outstanding Professional Service. In 2010 STANSW awarded her a Distinguished Service Award. In 2006 Anne co-developed the underpinning Educational Model for MyScience, an award-winning programme that aims to stimulate students’ interest and enhance the capacity of primary science teachers and their students in conducting authentic scientific investigations. Preliminary research into the programme indicates benefits for primary students and their teachers, secondary students and their science teachers, and pre-service primary and secondary science teachers, where learning occurs because of participation in a community of science practice. In November 2008, MyScience won the B-HERT Award for Best Collaboration in Education and Training. Anne is passionate about raising awareness of the importance of primary science education. Her particular interests include researching ways to advance the teaching and learning of science in schools. Anne’s strong achievements in Academic Leadership and Service are clearly demonstrated by an invitation to join the Science Reference group of the NSW Board of Studies, Teaching and Educational Standards, which was made on the basis of Anne’s development and research of the MyScience model, her excellence in Science pedagogy and practice, and her strong links to Science Education networks. When Anne is not reading, thinking or doing something associated with primary science education, she will be out running. She is a lifelong runner having had a successful competitive career on the track and cross-country. Dr Anne Power is a music curriculum expert at the University of Western Sydney and has research on Enhancing Indigenous Content in Performing Arts Curricula in Tertiary Institutions through Service Learning in Indigenous Communities. Anne holds a PhD (University of Wollongong), MMus (University of NSW) and a DipMusEd (NSW Conservatorium of Music). She is known for leadership in the field of professional practice and is a member of the Centre for Educational Research. Anne is published in the International Journal of Music Education, British Journal of Music Education and the Australian Journal of Music Education. She is a former chair of the Australian and New Zealand Association for Research in Music Education and Vice-President of the Institute for Education Research. She is also the editor of Musicworks, the national journal of the Australian National Council of Orff Schulwerk. Anne’s work with service learning and disadvantaged students converges with themes of creativity. In a recent book; Teaching for a Fair Go: Exemplary teachers of students in poverty, she explores creativity as a way of closing the equity gap. Her ARC research; Enabling schooling success also aligns with themes around equity of access and social justice. In the Northern Territory, the research and field work experience has been in high schools and the community over 2011–2013. In NSW, the Secondary Schools project with teachers researching their practice in schools in Western Sydney commenced in 2013 and is ongoing. Prior to that, The Teachers for a Fair Go research took place in schools in 2009–2010. Anne has made a significant contribution to music teachers and music education through her involvement in associations. As a member of the Orff Schulwerk Association of NSW (OSANSW) committee, Anne has been actively involved in the planning and running of state and national conferences, workshops and the annual Levels Courses as well as being a regular presenter at these events. Anne was the Vice-President of OSANSW for a number of years and is the current Vice-Chair of ASME (Australian Society for Music Education). Anne has also been an integral member of the PTC Board for the past ten years. In that time, she has brought the perspective of K–12 and her experience as a tertiary educator to Board proceedings. As a leader of a smaller member association, she has ensured that their contexts are well recognised in Board proceedings and decisions. Her governance in the chairing of the PTC Professional Learning Committee with attention to detail, due process and refinement of practice has ensured that the work of member associations in the provision of quality registered professional learning has grown to where we are consistently the largest provider of registered professional learning outside the sectors. Over her extensive time as a member of the Board, Anne has attended many consultative meetings with key stakeholders in giving voice to the aspiration of those who work tirelessly in supporting the provision of quality professional learning across this state. She has turned a fine eye to the editing of submissions and policy in her support of the work of PTC NSW. Anne Power’s awards include the ALTC Programs that Enhance Learning in 2010; the Professional Teachers’ Council for Outstanding Service in both 2006 and 2010; and the Vice Chancellor’s award for community engagement in 2007. On her retirement from the PTC Board, we thank her for her commitment to education and in particular to the students across this state.